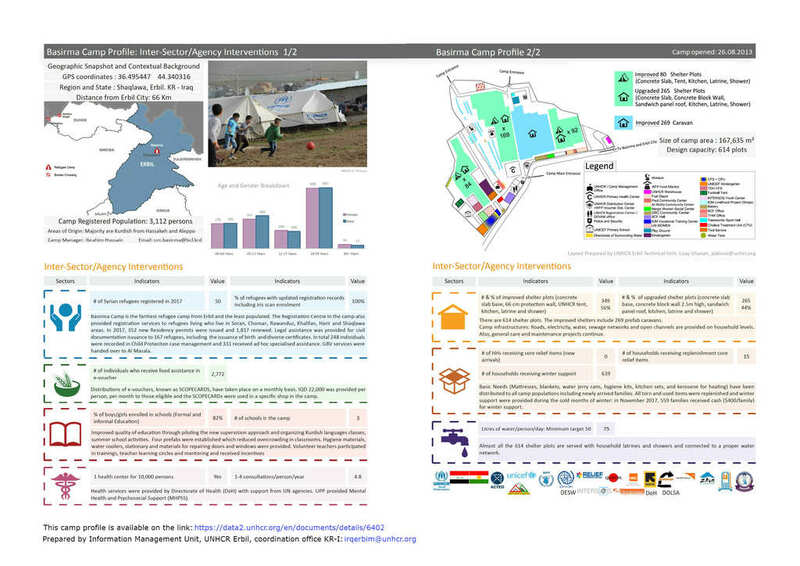 Document - Basirma Camp profile, Syrian Refugees, Erbil, Iraq. A camp profile is an information product that assembles information about the camp from multiple data systems in order to give a comprehensive picture of the situation about a camp. It provides a consolidated overview of population statistical data, geographic data and cross cutting sectoral analysis of Protection, Food, Education, Health, Shelter, Basic Needs and WASH situation in the camp. It contains also the names of the partners supporting the humanitarian assistance in the camp.